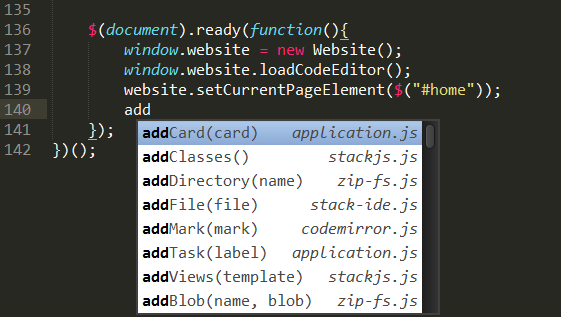 Sublime Text is my favorite code editor, It's very fast and lightweight and I find it very useful for web development. Sublime Text has a nice API to create sublime packages (plugins) and today I'm going to show you step by step how to do so. For more information, please visit the Sublime Text API documentation. The Sublime Text editor comes with default auto-complete feature which contains the words in your current file. you cannot auto-complete words from another file and if you have methods in your code (of course you have), it contains only the method names. When you choose a method from the pop-up box, It pastes the method with its signature and all you have to do is to replace the method parameters. Plugins in Sublime Text are written in Python. You can view my full plugin code on MySignature gihub. Create a new python file inside your plugin directory. When file is saved - to load all the methods from all files into the memory. When auto-complete pop-up box appears - to display the relevant methods inside. First, I get all the opened folders in the Sublime Text editor. The next step is to scan all the files inside and load the methods into the memory. - Create constructor, send the open_folder_array as a parameter and save it as a class data member. The '<label>' represents the label which will be displayed inside the pop-up box. This label will be separated with tab ('\t') when the first string is the method signature and the second string is the description (method file in my plugin). The method description will be displayed in italic font. Sublime Package Control is a repository of Sublime Text plugins. You can activate it with Ctrl+Shift+P shortcut in the Sublime Text editor, type 'package install' and you get a list of plugins to install with just one click. To publish your plugin to the Sublime Package Manager you must store it as a project inside Gihub. Push your plugin source code to Github as an open source project. Then, make a pull request with your changes. Wait for your pull request to be approved by wbond. 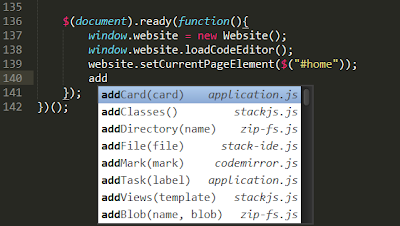 Very simple, very useful and you can do whatever you want to make your perfect code editor! Hi! Sorry for my bad Engish. I need autocomplete from my personal dictionary (maybe .txt file with words). This dictionary was dont included to project. As example, I use Sublime for write code on Lua for game framefork and I want add functions of that framework to autocomplete. Is it possible with that plugin? If the framework is a part of your project and its not minified, MySign plugin will detect its functions. for install the plugin on mac i just need to drag the folder "MySignaturePlugin-master" to "Packages" ? does the plgin available via package manager? 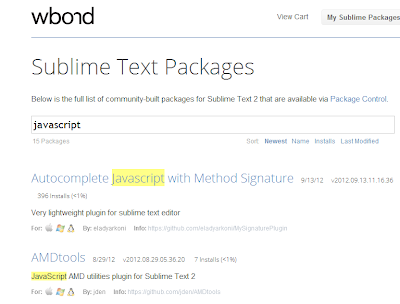 Would you like to support Sublime Text 3? 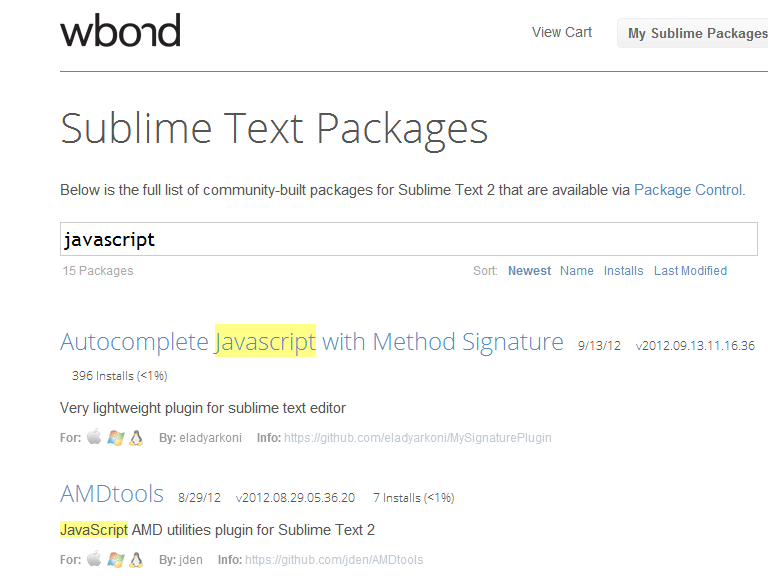 Support for sublime text 3 is added! As soon as It come out from beta. This is awesome plugin, just what I needed for my project. I edited this plugin to work with Lua. Is it ok to use and share it it if I credit you in the source? There is no license information in this site or in GitHub. Can I assume that this is licensed with MIT license or something similar? Im very glad to know that my plugun helps you. You can use it as a MIT license and give me some credit. 1) howto install this wonderful plugin on my Windows + ST3. I did not find it in Packadge Control => Install Package. 2) Howto run it ? I have some .js in my folder. When I creating new file and start typing the name of some func which located in another file nothing happing.. running only default text autocomplete. That was interesting for me. I would like to thank you for adding those materials here. I hope that I'll get more information on the topic from your blog. The publication of the plugin includes a number of simple operations. This allows you to create your own code editor without any effort. The editor code of this type is quite effective for the web development. This makes it possible to implement the autocomplete of plugins in more convenient form. This is awesome plugin, just what I needed for my project. Will give you credit when I use it. Very nice article. Check this out: How to remove Snapchat captions. Thanks for sharing this information is a great help for me. The post is indeed useful, since everyone is able to solve the existing issue! I am glad you have shared this information! Your article is really worth reading. I've been follwing your blogs for a while and you are doing a great job. Regards to your hard work and great effort. Another accommodating component of TTS is the altering of elocution. Now and again, you'll have to modify the articulation of certain surprising words.